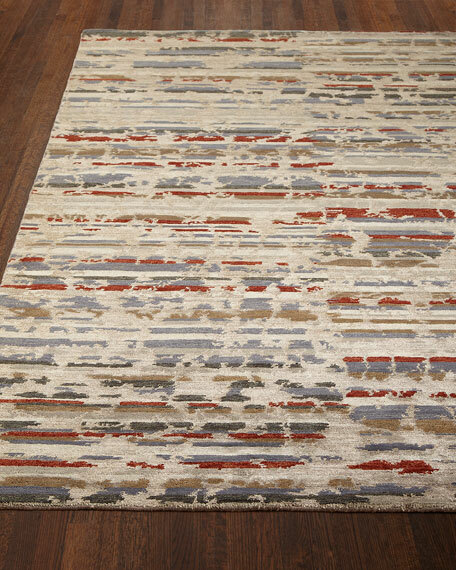 The hand-knotted rug takes inspiration from faded textures in stunning color combinations. 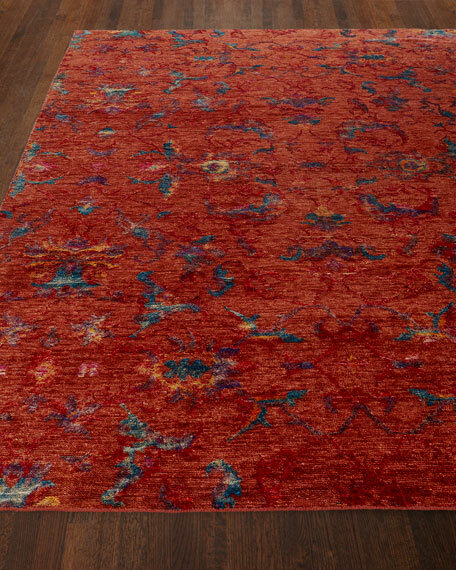 Each rug has its own story and is beautifully executed in hand-carded wool with viscose. 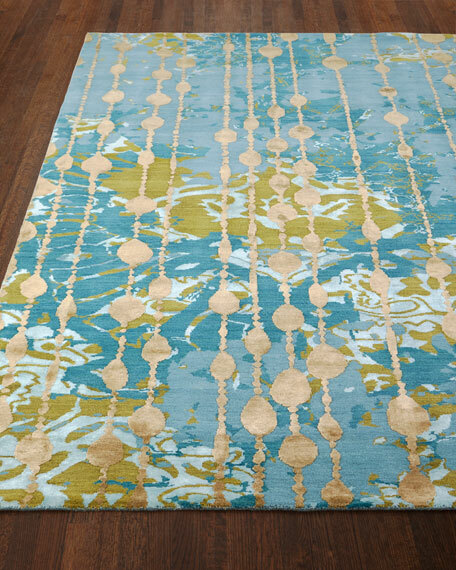 Hand-knotted rung.Wool and Silkette (viscose).All rugs have a "light" and a "dark" side, depending on the viewing angle. 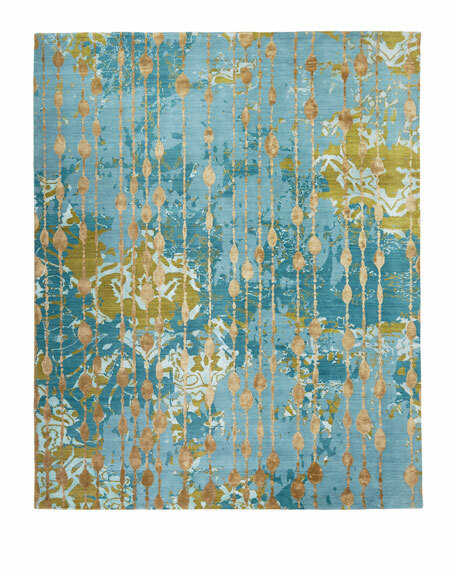 The photos at left show this rug from both sides.Size is approximate.Imported.